How long is the this series and how do I attend? What if I don’t have time in the next few weeks to complete the course? What if I am too busy to do the exercises in the program? Can I get a refund if I decide I don't like the class? Is this program for parents of toddlers or teens? What if I do everything in the program and I still am having challenges with my child? Is this just another parenting program that gives me a bunch of theory but doesn't really tell me how to apply it to my situation? What format is the program in? Audio, videos etc.? Is this class only for parents? What about educators, therapists, nannies and grandparents? Is there a limit to how many people can enroll in the class? If I don’t enroll now, when will there be another opportunity to sign-up? I live in another country, can I still participate in the live classes? Conscious Communication: Think, Speak, Act is a four week online course. Your learning modules are released weekly and sent to you via email and our live sessions are held each week in our virtual classroom. You can view the videos online, download the audios and attend the live sessions. Additionally, there are four follow-up support classes are held via phone 2x per month. You can attend live or listen to the recordings only. If you’re unable to participate in the live sessions, you do have the option to download the audio recordings. Each class (and group support call) is recorded and the MP3s are yours to download and keep so that you can go back through the classes whenever is best for you! When you look at the amount of time that you spend arguing, nagging, threatening or bargaining with your kids – you have to decide if that is a pattern that you want to – or should continue. Conscious Communication and being "heard" is not outside your reach, and a community like this, along with the live training and support, is a game-changer for many families. They see dramatic changes in the level of cooperation and connection that they feel from their kids after implementing what they learn. So you really just have to ask yourself – can you waste time with short-term punitive discipline and what is the cost to your relationship with your child? Are these small conflicts not that big of a deal – and not worth the time and investment of learning a new way? Balancing the long-term goals for our kids with the daily grind is always a challenge in parenting. This series will certainly require a time commitment, but it is one that will continue to reward you as your child grows. Once you complete your payment process, you will automatically begin receiving access to your materials. Our goal is to build a community of parents and professionals who are committed to changing the world for the better for our kids. ALL class purchases are final. 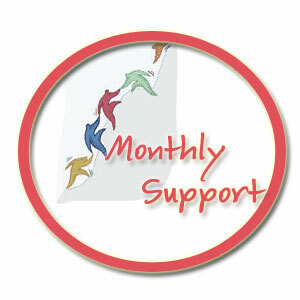 If you are new to this paradigm or looking to slowly dip your toe in the conscious parenting waters - you may want to start with my monthly membership option - an affordable no-commitment solution with short video lessons and monthly group calls. There is no one-way path to peace and I will still be here to serve you every Tuesday with another TEACHable Moment, no matter what you decide. This series is geared toward parents of children of ANY AGE! Children understand and use language from the very beginning. It is never too early or too late to implement changes in the way you communicate with your kids. We do not discuss baby routines, infant sleep or feeding, but the communication tools and self-growth you will learn in the classes apply to families in general. They are appropriate for parents of toddlers to teens because the process of building relationships and speaking compassionately is the same – no matter what age we are. This program is meant to be give you a new framework for speaking and interacting with your loved ones. It is going to take some time, and in-depth exploration of yourself > your habits, goals, needs and feelings coupled with and understanding of the basic framework of communication for you to see changes. The sessions and learning exercises are designed to enhance your understanding of how to speak and what to speak ABOUT so you can effectively parent with confidence and kindness. It is not a substitute for professional help. If you feel your child’s behaviors are severe or uncontrollable, please re-consider seeking a licensed counselor before enrolling in this course. While your kids may need extra help, if you are struggling with your own reactions and find yourself unable to stay calm and not yell - you will learn the steps to change those personal habits which have affected your ability to influence your child. Honestly, I have not had anyone implement a conscious parenting viewpoint and be worse off because of it. I imagine it’s because my classes are not a magic-fix-all, one-sized-fits-all kind of course. It is best to take the strategies and philosophies that you learn, and then apply them, with your own creativity and personality, to the experiences with your children based on their unique stage of development, and temperament and according to your personal family values. When you’re truly seeking to understand your child on an individual basis and looking beyond his behavior while practicing the compassionate communication tools I will show you, it’s pretty hard NOT to see real observable change in your kid’s behavior. This program is full of concrete tools, and weekly exercises. There is a lot of practice but not a lot of fluff. You need tools, we're all short on time. This series is for the parent or caregiver who gets the theory and wants MORE actionable language. If you’re concerned about not understanding how to apply the strategies that you’ll learn in the course, then be sure to attend our bi-monthly bonus Q&A Support calls. On these calls, you’ll have even more time to get your questions personally answered. The series consists of LIVE weekly meetings and 2x montly group support sessions. During your class series, you will have access to the streaming videos, PDF files and audio MP3s which are available for download. The series is suitable for families, teachers, therapists, child-care workers and anyone who works with children. I have had many professionals and parents take this course over the years. Regardless of whether you are a parent or provider, if you want to learn how to think, speak and act compassionately and consciously - this class is your ticket to learn how. If you want to train your team or are looking for group rates, please email me. No. There is no limit to the class. Some participants either by choice or by circumstance end up only downloading the recorded classes, so enrollment may be higher than the actual live class size. The education program calendar has changed from year to year, but in 2014, this program will run again in the summer and late fall. If this is really the solution for your family, you can lock in a special reduced-price tuition and catch it before it closes until 2014. I live in another country, can I still participate in the classes? Yes. 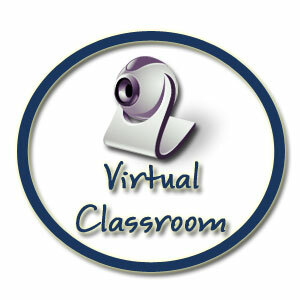 There are many participants from outside of the US who participate in our classes and as long as you have an internet connection you will be able to access your videos and recorded calls.